SAULT STE. MARIE, MI-- A Brimley man has been arrested for kidnapping and sexual assault. Saturday around 8 p.m. the Chippewa County Sheriff’s Office was called to a residence on Lakeshore Drive. Deputies were asked to back up Bay Mills Police for a disturbance call. Investigation indicated that an assault happened off the Bay Mills Reservation. Officers say they discovered that several different sexual assaults had occurred within a two-day period. The suspect had allegedly driven the victim deep into the woods on a couple of occasions and attacked her. Investigators found evidence at more than one location. It’s been taken to the Michigan State Police Crime Lab for testing. 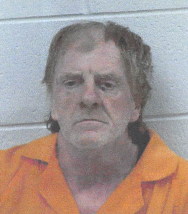 Robert Kelly, 58, was arrested and charged with two counts of first-degree criminal sexual conduct, two counts of kidnapping, two counts of second-degree CSC, two counts of assault with intent to penetrate, one count of fourth-degree CSC, and being a habitual offender, third degree. Kelly remains lodged in the Chippewa County Jail on a $250,000 bond.